TheArmenianKitchen.com : Apple-Fillo Boregs - the Armenian Apple Strudel! 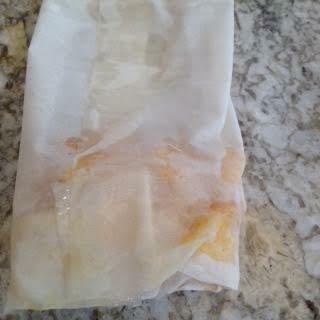 Apple-Fillo Boregs - the Armenian Apple Strudel! 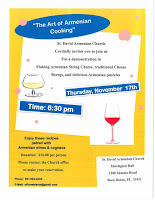 I recently participated in an Armenian cooking demonstration at St. David Armenian Church along with three other women. 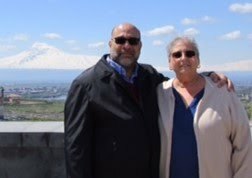 The church’s event planning committee hosts a monthly lecture series on various topics relevant to current events, health, finances, and community concerns. 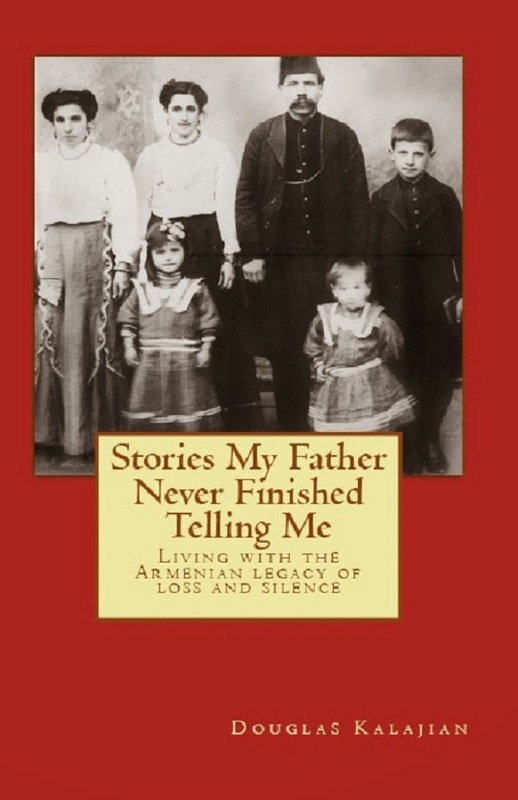 On this particular night, the ‘Art of Armenian Cooking’ was featured. Each participant chose their own recipe to demonstrate. 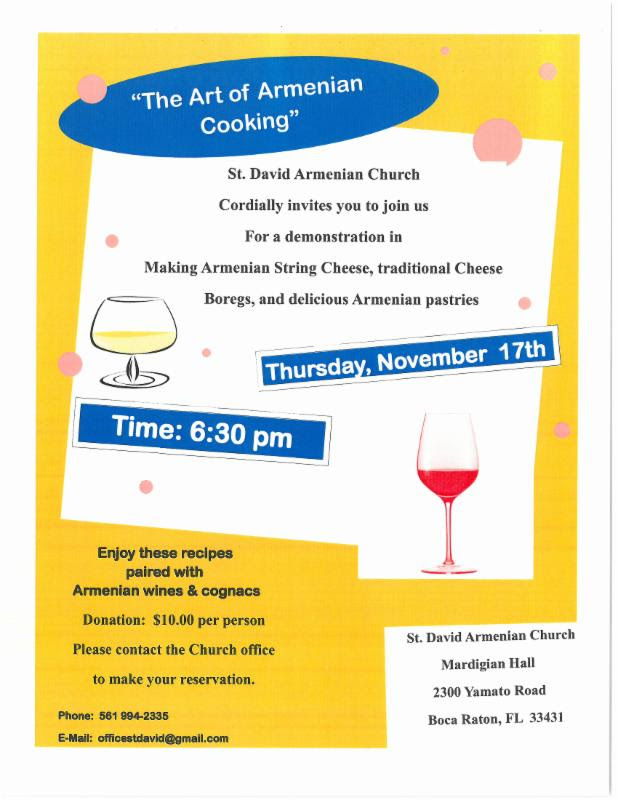 Nina Stapan showed how to make Armenian string cheese; Deanna Stepanian made eech; our priest’s wife, Anna-Lusi Simonyan, prepared nazook; I made traditional cheese boregs. It was a lot of fun, and, the best part was that the audience got to sample the finished products! 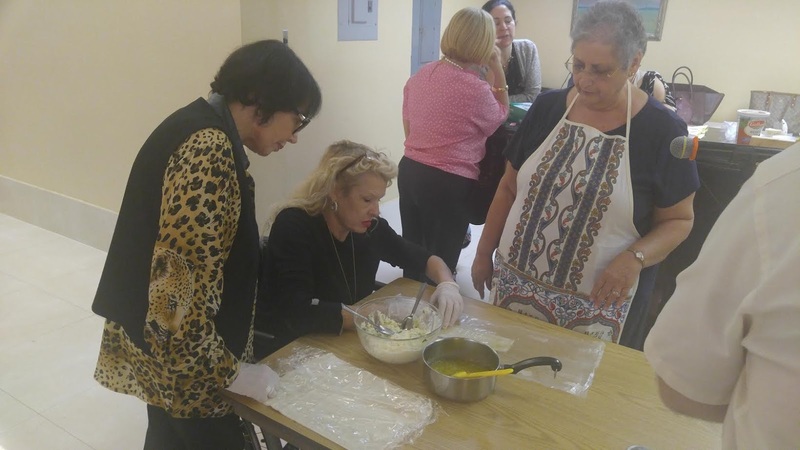 An audience member tries her hand at making a cheese boreg. After the demonstration I had a few sheets of fillo dough left over which I brought home. 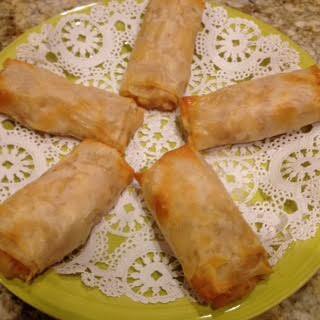 Since there were several apples in my refrigerator begging to be used, I made my version of apple strudel, better known as, Apple-Fillo Boregs! In a saucepan cook together the apple filling ingredients over medium heat for about 5 minutes, stirring from time to time, until the apples begin to soften and thicken. Remove pot from heat and allow the apple filling to cool. Keep the fillo dough covered with plastic wrap and a lightly dampened kitchen towel to prevent it from drying out. 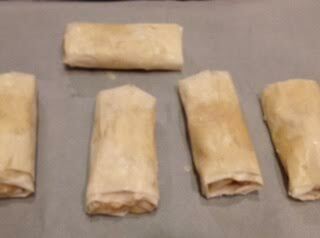 Working with one fillo sheet at a time, lightly brush the fillo with melted butter. Place apple filling on a buttered sheet of fillo dough. Place about 2 generous Tbsp. apple filling one the fillo about one inch from the bottom center. Fold the inch of fillo up over the apples. 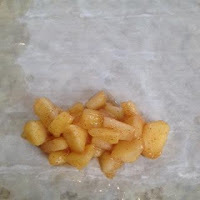 Fold the dough from the bottom-up to cover the apples, then fold each side of dough inward. Roll the bundle away from you to create what looks like a burrito. Fold the two sides in to cover the apples. Roll from the bottom upwards, buttering any dry fillo surfaces as you roll. This should resemble a burrito. Place each rolled fillo packet on a parchment-lined baking sheet. Butter the tops with melted butter. Bake in a preheated 375°F oven for about 15 minutes, or until golden brown. Remove from oven; cool a few minutes before serving. Dust with powdered sugar, if you wish. I spread a thin layer of apricot jam on the fillo dough and then add the apples. .
What a tasty idea - thanks for mentioning it!